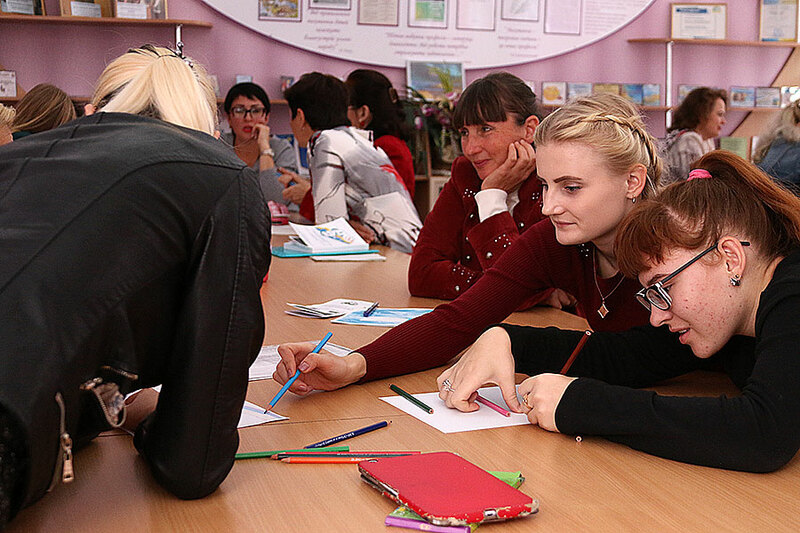 On September 28, Luhansk Taras Shevchenko National University together with the Lysychansk Pedagogical College held the Regional Scientific and Practical Conference “Pedagogical Vectors: V.O. Sukhomlynskyi and Modernity”. 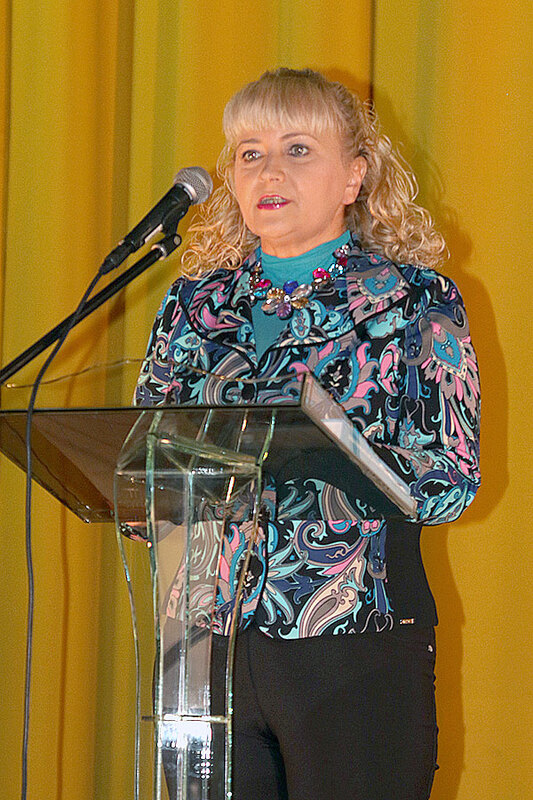 The event is dedicated to the 100th anniversary of the birth of the outstanding Ukrainian educator-humanist. 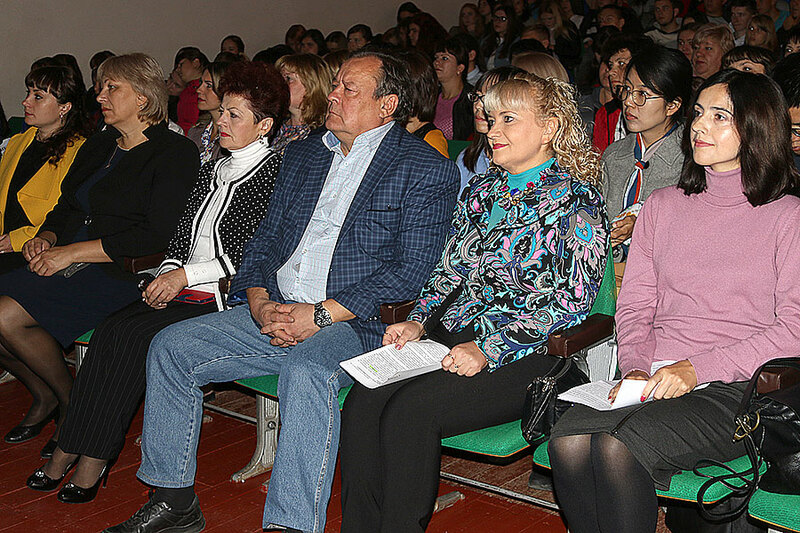 The conference was decided to be held on the basis of Lysychansk Pedagogical College of LTSNU, because the institution has long been developing a relatively new area of ​​pedagogical scientific activity – research of Sukhomlynskyi. 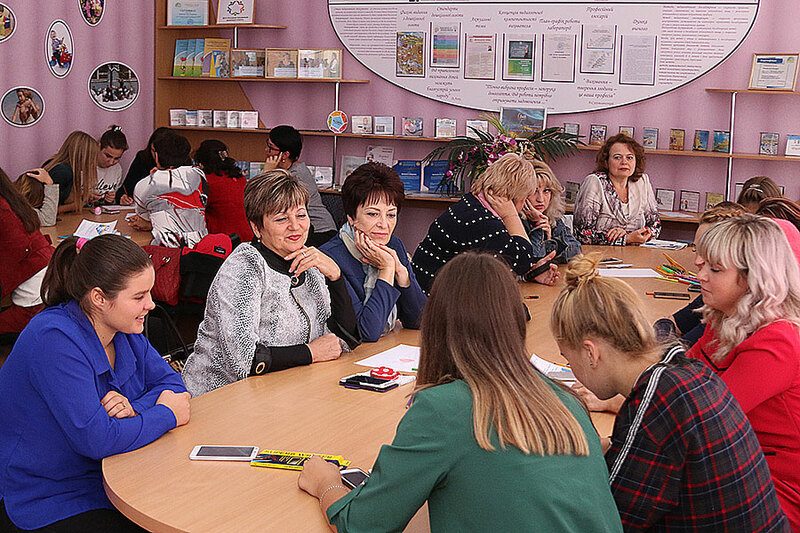 Therefore, in the office-museum of the education history and pedagogy, the teachers of the College organized an exhibition “I Give My Heart to Children”, as well as a video project for the 100th anniversary of V.O. 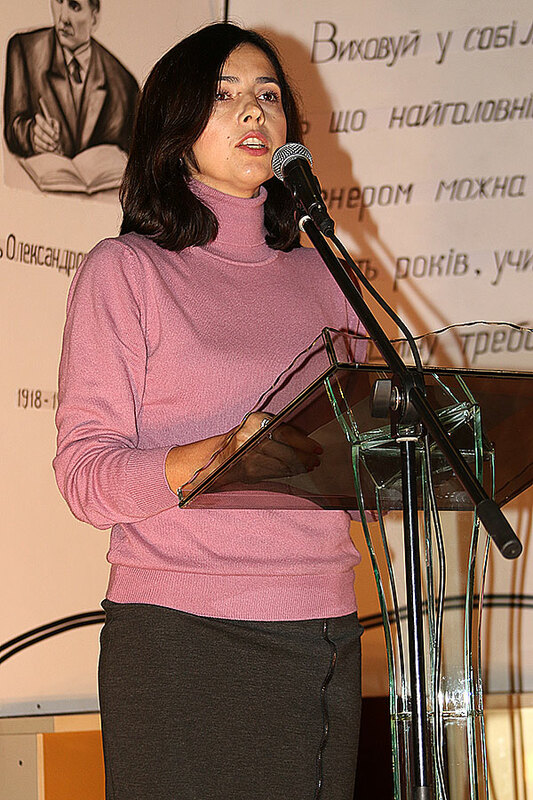 Sukhomlynskyi. 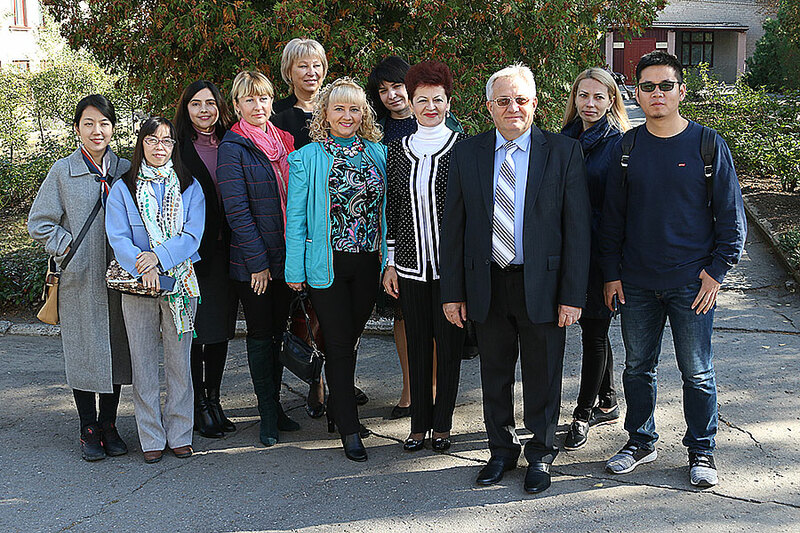 The delegation included the Rector Serhii Savchenko, the Director of the ER IPP Olena Karaman, the head of the Department of Preschool and Primary Education S. Bader, the Director of the center of the New Ukrainian School L. Varyanitsa, the head of the Postgraduate Department O. Maltseva, the Associate Professor of the Department of Social Pedagogy Ya. 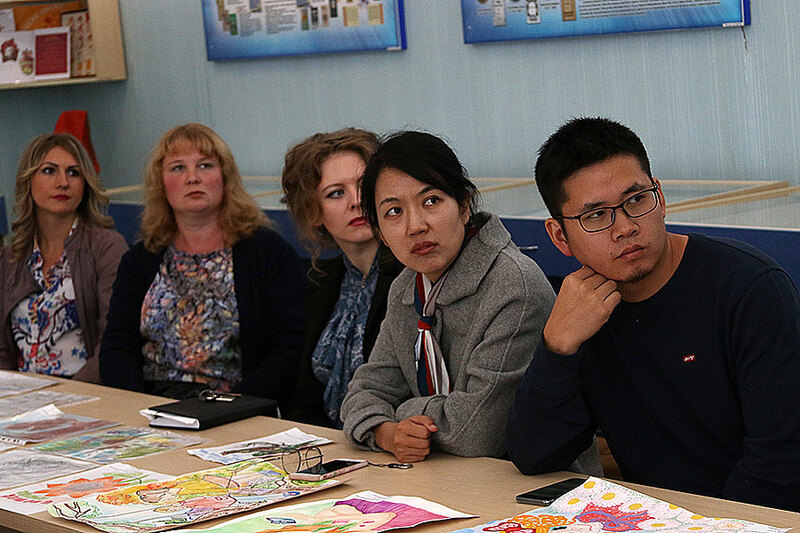 Yurkiv and three postgraduate students, citizens of China, where the ideas of V. Sukhomlynskyi have been introduced for a long time into the system of education and upbringing. 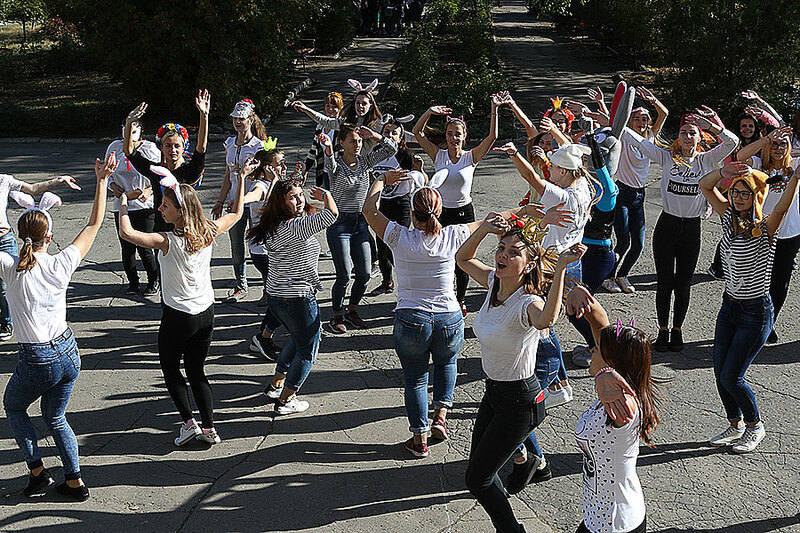 On the sunny courtyard, the delegation from the University and guests was greeted by the Director of the College G. Minenko and students majoring in “Preschool Education” with a dance flashmob, because all Ukrainian celebrate Preschooler’s Day. The conference was held in the assembly hall. It was overcrowded: teachers, scientists, students, schoolchildren from all over the region gathered at the conference. During the Second World War, Vasyl Sukhomlynskyi defended Ukraine, was seriously wounded. His first wife was tortured by fascists, which gouged out her eyes. She prematurely gave birth to a child who was killed. He survived all this. And then he suffered all his life: constant persecution for the updated pedagogical practice, complete denial of authoritarian doctrine in pedagogy; for the book “I Give My Heart to Children”, for the article “How to Love Children,” because he refused punishment in the pedagogical process, introduced kindness, love, humanity in pedagogy. For the fact that instead of authoritarian approach in education, he suggested another, based on mutual respect, trust and love. 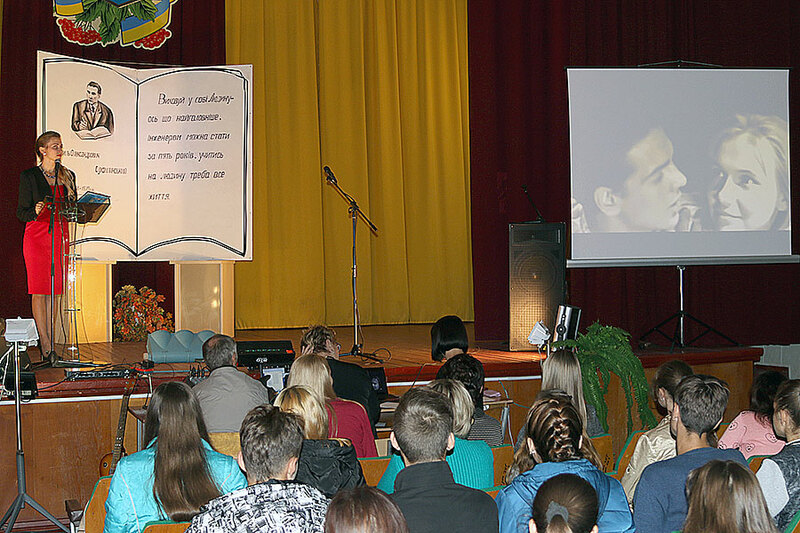 He found strength and built a new school – “School of Joy”, “School under the blue sky” creating an intellectual and emotional background of the school, the atmosphere of “joy of knowing”, developing children’s creative thinking, love for the Motherland, books, Ukrainian wisdom. 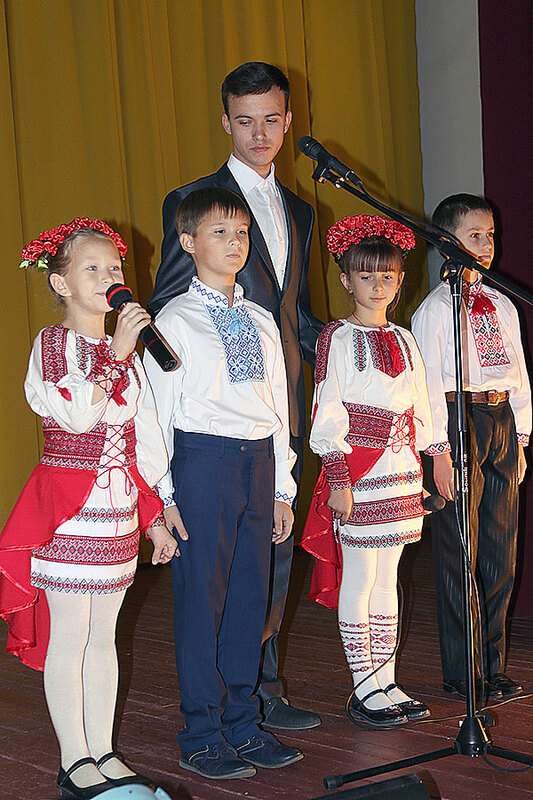 Sukhomlynskyi became a symbol of the “sixties” in the national pedagogy; raised Ukrainian pedagogical science to a high level of world recognition. In 1955 he defended his thesis on the topic “Director of the school – the head of the educational process”; was elected as a corresponding member of the Academy of Pedagogical Sciences of the USSR. He was preparing to defend his doctoral dissertation, but he did not have time. 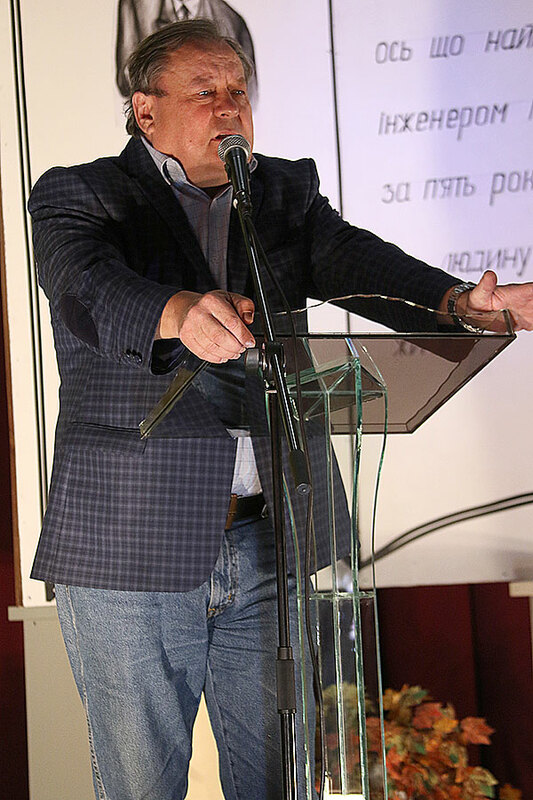 In addition, Vasyl Oleksandrovych is the author of 48 monographs, more than 600 articles, 1500 short stories and fairy tales, parables and short stories for children. His most famous work is “I Give My Heart to Children” was translated into 30 languages ​​of the world. Sukhomlynskyi died early. He was devastated by a triple blow: the hunger created by Stalin’s collectivization; Hitler’s mine, which left deadly fragments in his body; and the unjust, insulting, destructive Soviet criticism. 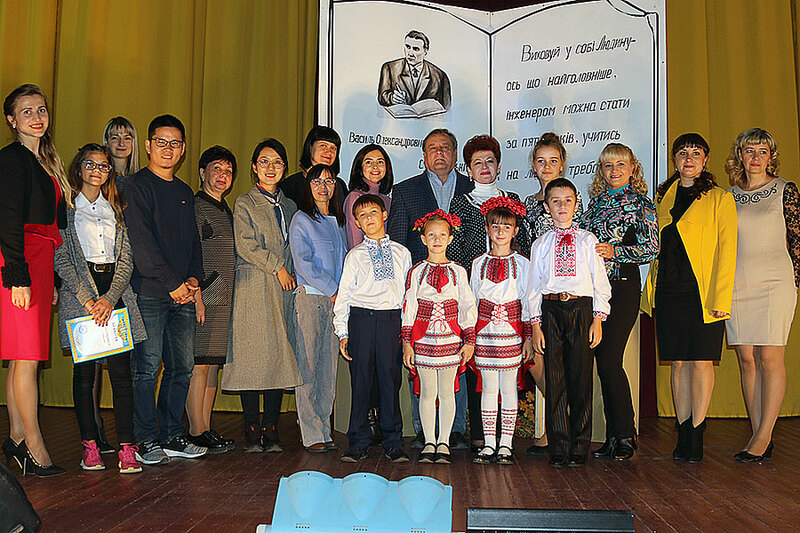 However, the scientific and pedagogical heritage of the outstanding Ukrainian teacher, public figure, children’s writer Vasyl Oleksandrovych Sukhomlynskyi has forever become a treasury of the world educational community. The conference was held in an unconventional and relaxed atmosphere. 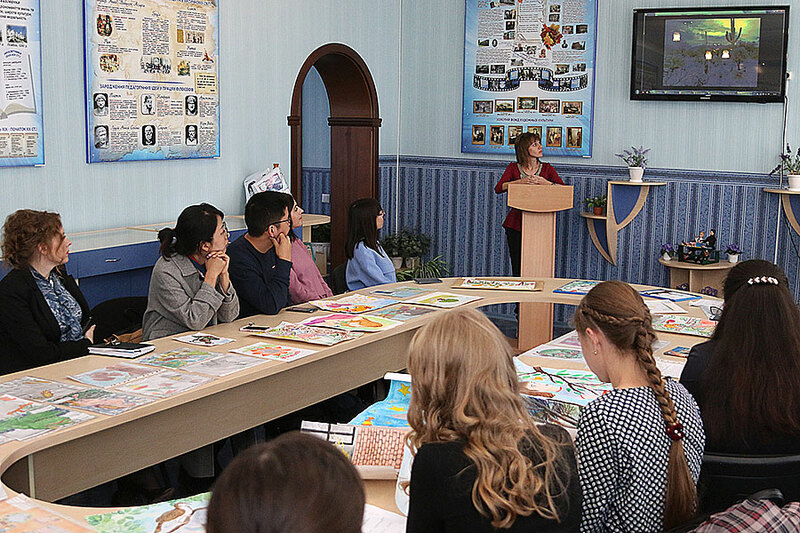 The presentations were made by O. Karaman, O. Maltseva, S. Bader, pedagogical staff of the College and schools, which are engaged in research of Sukhomlynskyi.